With the technological changes driven by the digitalization, the globalization of the legal market, and the arrival of new players, the legal function needs to change. This course describes a vision of the legal industry and the key principles that support a paradigm shift from one of security towards one of opportunity. In particular, it shows opportunities for in-house legal departments of large enterprises, and discusses how they can become a strategic partner for corporate executives, clients, and stakeholders. With the technological changes driven by the digitalization, the globalization of the legal market, and the arrival of new players, the legal function needs to change. This course describes a vision of the legal industry and the key principles that support a paradigm shift from one of security towards one of opportunity. In particular, it shows opportunities for in-house legal departments of large enterprises, and discusses how they can become a strategic partner for corporate executives, clients, and stakeholders. Students will discover how to develop solutions that help lawyers and contract-facing personnel redefine their profession. They’ll learn that future corporate lawyers will no longer primarily be negotiators, litigators, and administrators; instead they’ll be coaches, arbiters, and entrepreneurs. Legal knowledge and data-based services will become a commodity, and analytics will be a key driver for the future of the profession. Finally, they’ll understand that this vision also requires a change in mindset and culture. Sally Hughes is the chief operating officer for the International Association for Contract & Commercial Management (IACCM), leading and supporting the IACCM global team in the pursuit of both the recognition of and excellence in commercial and contract management. Prior to this, she has held senior commercial positions at a range of corporate and multinational organizations. 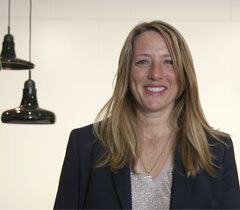 Sally is passionate about enabling business efficiency and growth through contracting and commercial excellence. This course was held from May 16, 2017 through Jun 14, 2017. This course was rated with 4.17 stars in average from 164 votes. Kai Jacob studied law and joined SAP in 2008, where he is Head of the Global Contract Management Services team. In 2015, he assumed additional responsibility for Legal Information Management, supporting the digital transformation of the legal function. Kai and his team built SAP’s central contract layer (CMS), which aims to cover all contracts from all lines of business (except HR) at SAP. Not only does CMS provide full insight into SAP’s contract landscape, it also greatly improves SAP’s contract creation and lifecycle management processes. Since 2016, his team have been developing the next generation Legal Content Management solution in co-innovation with SAP’s P&I team. Dierk Schindler is the head of Legal & Deal Management for EMEA and Global Legal Shared Services at NetApp, a leading data management company. He has transformed his department by combining legal and deal management, including the development of a deal and case management application that supports working processes and provides legal analytics. His teams were awarded the “IACCM Global Innovation Award” in 2014 and 2015. Between 2009 and 2016, Dierk also served as a member of the board of NetApp Deutschland GmbH, an organization that has consistently acquired a top placing in the ‘Great Place to Work’ ranking. He is a regular presenter at business and peer group meetings and various universities throughout Europe on the topic of innovation of legal and the vision of liquid legal. Roger Strathausen is an author, university lecturer, and conference speaker specializing in the topics of leadership, learning and legal. A Stanford University PhD and former Accenture executive, he has nearly 20 years of consulting experience in designing and implementing global strategies and sales and marketing programs for software and life-science enterprises.